There are dozens of homeless rabbits throughout San Diego County awaiting permanent homes. Before buying from a breeder, swap meet, or pet store, please consider adopting from your local shelter or humane society, or from a rabbit rescue organization. Many rabbits are euthanized at shelters annually! By adopting a rescued/ homeless rabbit, you truly are saving a life. In fact, you may be saving many lives because rabbits adopted from shelters, humane societies, and rescue organizations usually are spayed and neutered already, so they cannot create more homeless bunnies. Listed on the linked pages below and to the right are rabbits available for adoption from shelters and humane societies in San Diego County. Thanks to volunteers from the San Diego House Rabbit Society, we are able to update this page regularly. San Diego HRS also has foster rabbits available for adoption. People who have bunnies know they like to have companions. 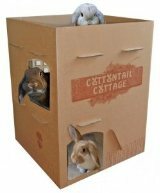 If you have one bunny and are considering getting another, please contact San Diego House Rabbit Society for assistance with finding your bunny a new friend. If you need assistance with bonding, contact HRS for guidance in this process. You can also visit the San Diego HRS website to learn more about bonding rabbits. See www.sandiegorabbits.org Please email hrs@sandiegorabbits.org to learn more.